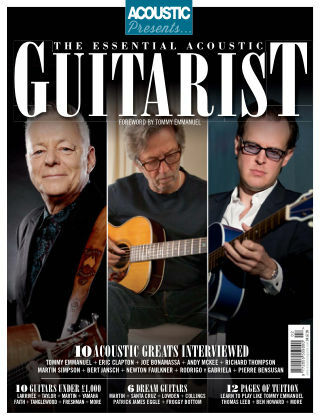 With Readly you can read Acoustic Presents and thousands of other magazines on your tablet and smartphone. Get access to all with just one subscription. New releases and back issues – all included. Whether you’re just starting out or you’re at Andy McKee levels of finger-tapping madness, you’ll find something in this ‘bookazine’ that ignites – or reignites – your passion for our wonderful instrument and provides enjoyment for years to come.